As the summer heats up so does the wealth of smouldering and sultry sounds on offer, and possibly none as bewitching as those unveiled by UK band Venice Trip within the Look Forward EP. Bringing three songs which are fuelled by the breath of late sixties/early seventies psychedelic rock and cultured in a modern imagination, the release is a striking and captivating introduction to the London quartet which more than lives up to the buzz already arising from the band’s live presence. Fresh from making an acclaimed appearance at The Great Escape in Brighton, the foursome of vocalist/guitarist Andrés Alcover, keyboardist/vocalist Shenny, bassist Nick GK, and drummer Joe Wood immediately has ears aflame with the EP’s title track. The opening song emerges on a feisty shuffle of rhythms and wiry riffs but it is the tangy melody which has the imagination and appetite especially drooling, its sultry shimmer and inescapable lure the lead into a rich seduction of vocals and melodic enterprise. Beats continue to cast an anthemic lure whilst a sixties glazing captivatingly coats vocals and melodies, everything uniting in a contagion which sublimely engulfs body and passions. There is no escaping a sense of The Doors to the track, but equally there are essences bred in artists such as Small Faces, Syd Barrett and more currently MGMT, as well as surprisingly a potent feel of eighties band Associates at times. The song is sensational and a dramatically thrilling start to the release. The following Oh Katy is a gentler caress of energy though no less infectious with its evocative grooving and glowing harmonies. The psych pop resonance of the song sizzles on the ears, its spatial tempting grounded by the just as riveting and effective melancholic bass lures amidst thick swipes upon drums. Whereas the first song has a tenacious and broad sense of life and energy, its successor offers a more intimately emotional and personal presence with a just as transfixing and intoxicating tapestry of sound. It also has a slight whisper of Arctic Monkeys to it, though again the main scent of the track is soaked in psychedelic rock from across the decades. Look Forward closes with Father Of The Universe, another song revealing fresh depths and variety to the band’s sound. From its opening seconds it flirts with a delicious garage punk like lure, the kind of dark and psyche twisted bait which graced the likes of The Cramps and The Orson Family. Swiftly infusing more Jim Morrison and Co like acidity into its alluring grooves and an increasing seduction of keys, the song blossoms into a dramatic, bordering on psychotic waltz of creative and vocal adventure where shadows and beauty collide and collude within increasingly tempestuous character. It is a fiery blaze bringing a superb encounter to a mighty end. With the only moan about the release being it is far too short for greedy enjoyment it feels quite safe to say that Venice Trip is going to be a major part of many musical lives and quite likely the British rock scene ahead. New Jersey indie rock band The Static Jacks has just given the UK a double treat in the release of their new double A-sided single ‘Into The Sun’/‘Mercy Hallelujah’ and a virtual whistle stop visit to these shores to put on a handful of warmly received and acclaimed gigs. 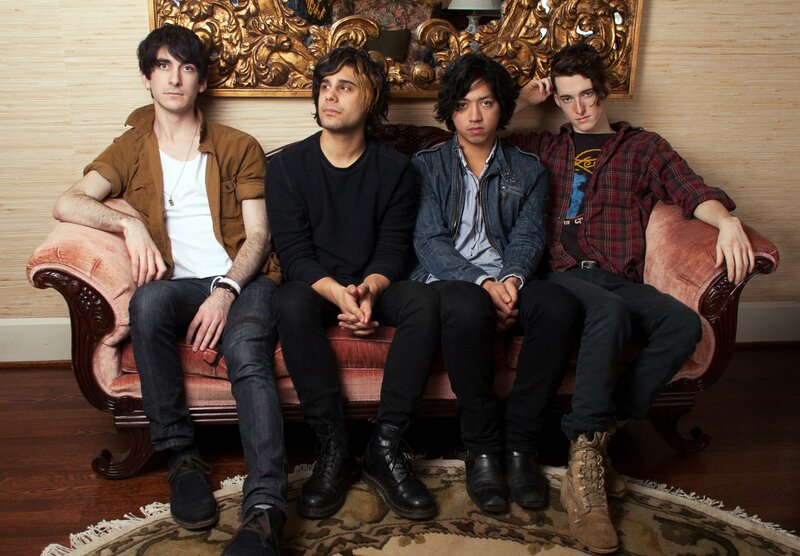 With the release of their debut album If You’re Young on Fearless Records in the UK also impending The RingMaster Review had the pleasure whilst the band were here to ask guitarist Henry Kaye about the visit, single and about The Static Jacks themselves. 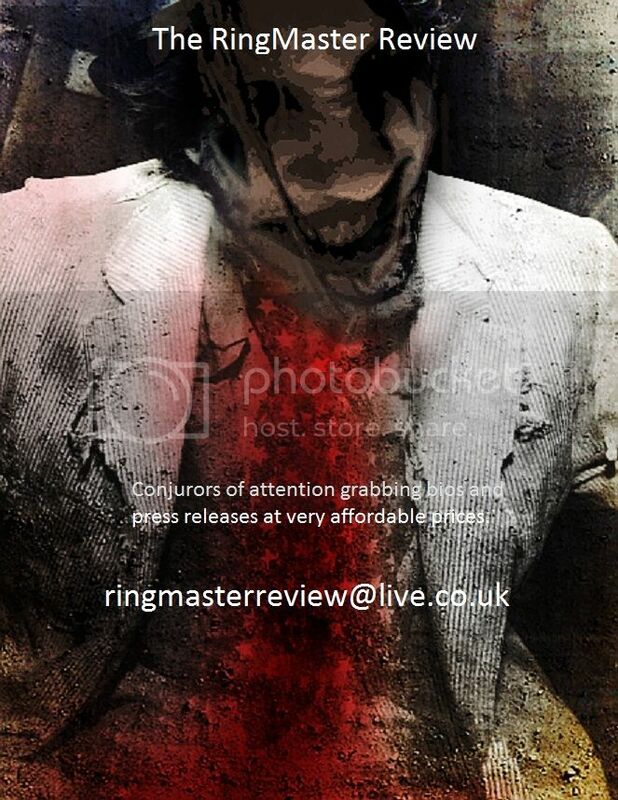 Hi thanks for talking with us at The Ringmaster Review and welcome to the UK. This is your first time here as a band and individually? Henry: Yeah this is my first time here! As well as Michael and Andrew’s first time. Nick and Ian have been to the UK before though on vacations. It may be a silly question but what is it about the UK that excites you and makes you guys think, as we do, that your sounds will hit the right key with audiences and ears here? Henry: I think it’s exciting that the other night we played Koko in London and in between bands they would play The Vaccines and MGMT over the speakers. In America you go to a club and they play Katy Perry and Lady Gaga. It’s nice to hear indie rock music at clubs. It shows there’s a real interest for it. Within a day of arriving you had your first show, how did that go? Henry: Ahh yeah, we played at 100 Club. It was a blurry show. We all felt dead after stepping off of the plane but knew we had to still bring it that night. Let’s just say after all of the plane ride’s turbulence Ian still didn’t get sick all over the crowd. Did you find the crowd had a stronger knowledge of you and your songs than you expected? Henry: Yeah I think we find that recently everywhere we go there are surprisingly people there that know who we are. This is all so new to us. It’s mind boggling to see people singing along to “Into The Sun’s” final chorus. What are you expecting or hoping to achieve from your brief visit to the UK, for yourselves and the band? Henry: It’s been a goal of ours for a very long time to come over here and play shows. We were just hoping a few people would come out and give us a reason to come back again and again and again. The reaction so far has definitely exceeded our expectations. We’ll be back. Can we go back to the beginnings of The Static Jacks, how did you all meet and what was the aim starting out as a band? Henry: I met Ian and Nick when we were 14-years-old and freshmen in high school. We started writing songs together in an early version of what would become The Static Jacks and playing at school events and in clubs in New York we weren’t old enough to get in to. The aim was just to write rock songs that friends could relate to and sing along to. One of the first shows we ever played was in Nick’s basement, where we have practiced since day one. It was just a ton of our friends surrounding us in a corner singing and dancing to every song. I think that set a good tone for what we were trying to achieve. After graduating high school we decided we wanted to push forward with the band idea where we met Michael who grew up in a town over from us. And so the adventure continues. The songs carry a great and effective mix of influences and genre flavours, how would you describe your music to someone never having heard a track? Henry: I would call it rock music with hooky melodies and a punk spirit! What are the influences that have helped form your music and sound? Henry: I think Arcade Fire have really helped remind everyone what a band should sound and look like. Also, their subject matter is something we all really connect to. All of these ideas about growing up in the suburbs, riding bikes with friends, parties. It’s all there. Your debut UK double A-sided single ‘Into The Sun’/‘Mercy Hallelujah’ is just about to be released here, that must add extra excitement to the shows? Henry: Definitely! We’re big fans of the 7” single. It’s amazing to come over here and have an exclusive to give out. Do the two great songs making up the single give a good representation of what people can expect on your impending album If You’re Young released here soon? Henry: Yeah I think it’s a good lead off for what to expect from the whole thing. Big choruses. Sing a longs. That kind of stuff. ‘Mercy Hallelujah’ carries a melody that we cheekily said you ‘borrowed’ from The Cure, would it be too rude to ask if that really was where the inspiration for the hypnotic melody came from. Henry: Haha, it wasn’t intentional but if there’s a place to steal from I think The Cure is a good spot. You are very much an independent band in thought and ethos, continuing the punk DIY intent. Would you relinquish that control and instinct if a big time label came in with an enticing offer which included them having control of most things? Henry: I don’t think we’d ever feel comfortable in a situation where we weren’t in control of most things. I think we’d no longer be this band if we didn’t have a say in what songs made an album, what the package looked like and where our music winds up. I want to be as big of a band as possible, but it has to be done the right way. Lyrically your songs are emotive and intelligent ‘story telling’, what inspires the majority of the themes? Henry: This album is mostly about being 20 or so and growing up and moving on from your hometown and relationships that you’ve built there since you were a child. Everyone you know, including yourself is moving in opposite directions and it’s a tricky situation to “figure out” the rest of your life and where you want to go. Henry: There are ideas flowing in from all directions. We all can bring song ideas in individually, in which case they are then fully worked out as a group. Or I’ll come in with a riff and structure idea. Every combination has happened. We definitely have a lot of material because everyone writes. It’s so much easier then depending on one guy. Is there a final voice that makes a decision when things cannot be agreed amongst you or are moments like that left to concentrate on other aspects of the band and music? Henry: Usually the band can just vote on it and we can figure it out internally. But when things can get more complex we talk to our management and listen to their ideas. It’s definitely not a final say, but it at least gives us another opinion to sway the arguement. What is next for The Static Jacks on both sides of The Pond? Henry: More and more touring next year! Constant touring. Our debut album “If You’re Young” should be finally coming out over here. And we’ll definitely be coming back to play more shows soon. Do you set yourselves targets or simply concentrate on the now? Henry: We have goals for sure, but I think it’s important to just keep blinders on and plow through the moment. I don’t like to get caught up in long term plans or strategies. Save that for the labels. A big thanks for sparing time to chat with us, and good luck for the remaining dates with hope your return is swift. Would you like to finish with a message for the UK and your existing fans everywhere? Henry: Thanks for coming out to see us and showing us that people do know our music! We’ll definitely be seeing you again next year. Come say hi at the merch table! And finally what special treat are you sneaking back to the US in your luggage? Henry: I think Ian will be sneaking back a few bags of Percy Pig candy.